It was almost a decade ago. When we started studying a museum project on the gastronomy of Antalya, everyone was skeptical. People expressed their feelings in various ways. The usual response was: “All they have is şiş köfte (skewered meatballs) and piyaz (bean salad). What else? And they added, as if they had found something interesting and worth mentioning: “But they make their piyaz with tahini don’t they?” Some, who were more knowledgeable, used to add: “Ah I know, they pour tahini over their pumpkin dessert and make a tahini meze, what was the name?” No one seemed to remember the name for “hibeş,” the mentioned tahini meze, but at least they knew some sort of an odd meze existed out there. But that was it. Antalya was synonymous with mass tourism and all-inclusive hotels with abundant but mediocre food. At one point, I was fed up with answering the almost instant question: Why Antalya? 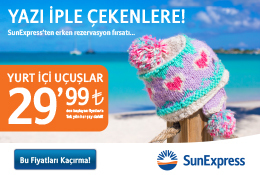 Why Antalya indeed? There can be several answers, but a plausible one could be that Antalya is home to one of the earliest human settlements in Anatolia, the caves of Karain and Öküzini, dating back to the first evolution of humans in Paleolithic times. Since then, Antalya and its environs have witnessed all civilizations, from the Phoenicians to the Greeks and Romans, from the Byzantines to the Seljuks and Ottomans. Needless to say, people have been eating, hunting, gathering, producing and trading food at all times. Practically, the history of food in the Eastern Mediterranean can easily be written by having Antalya and its environs as the epicenter. When we went underway with our study, it was soon clear that the story had to start from nature. Antalya is situated in such a breathtaking landscape, so rich in history, it would only do justice to tell its story starting from the mighty mountains, fertile land and massive Mediterranean. The mountains offer the wild tastes of nature, ranging from carob molasses to wild pine honey, from the elusive Matsutake mushrooms to abundant wild herbs like thyme, oregano, sage and bay leaves. The citrus orchards make Antalya the capital of oranges, lemons, grapefruits and tangerines, but the cornucopia of fruits beyond citrus, range from bananas to persimmons, dates and pomegranates. The treasures of the sea go beyond fresh fish and seafood, the sunken shipwrecks give us a great wealth of information on the sea-trade of the past, the voyage of food and exchange of cultures in the Mediterranean. The fertile land provides various vegetables that practically sustain the country with all the salad greens needed year around. All this bounty provides lots of stories to tell about the history of food, a good answer to the question “Why Antalya?” that we had kept facing. Alas, the museum is still in progress, but has not yet opened. Now, Antalya is once again becoming a ground for the exchange of cultures. 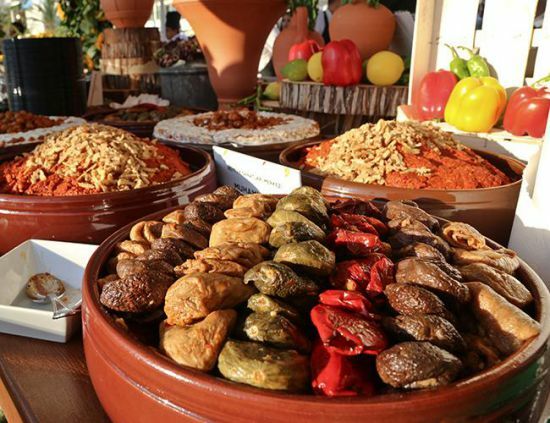 Turkey’s first meze festival was recently organized by the Akra Barut Hotel, hosting 25 restaurants from Turkey, Lebanon and Greece, bringing together chefs sharing their amazing variety of mezes. “Meze,” originally a Persian word meaning “taste” or “small snack,” is a generic name given to a selection of small dishes served to accompany alcoholic drinks in the near East, Balkans and parts of Central Asia. A meze table is a great ground for friendship and sharing, and that is what made the festival special, it was a great opportunity to communicate through food. The festival is planned to expand, reaching to far ends of the Mediterranean, hosting more chefs from more Mediterranean countries. It seems Antalya will be the hub of food culture in the near future. Do not forget to follow the next festival and adorn your table with hibeş meanwhile, the tahini meze from Antalya’s cuisine. Recipe of the Week: Hibeş is a very popular meze in Antalya, a good accompaniment to rakı, with its nutty, spicy, tangy strong taste. The balance of flavors can be adjusted according to taste. Some like it sour, some prefer it really shocking hot, some prefer a milder flavor. Dilute 1 cup of tahini with ½ cup water. Squeeze the juice of two lemons, add a drizzle of extra virgin olive oil to the diluted tahini and mix thoroughly. When the tahini is mixed with lemon juice, it tends to thicken, so add more water or olive oil if necessary. Add 3-4 cloves of crushed garlic and mixed it with 1-teaspoon salt, 1-teaspoon cumin and 1-teaspoon hot red pepper. Garnish with chopped flat leaf parsley and serve with flat bread. Cork of the Week: The traditional drink at a meze table is rakı, a distilled grape-based spirit infused with the flavor of anise through a second distillation with anise seeds. When it comes to wine, it is not easy to pair mezes that are often either quite garlicky, or yogurt-based, or fried. These oily, spicy, tangy tastes call for a fresh tasting white wine. My pick is usually a Sauvignon Blanc. When I consulted my wine expert friend, Mehmet Emin Türkat, he astonished me with his suggestions. He suggests a bubbly such as Yaşasın 2015, with its high acidity and yeasty aromas that would withstand the strong flavors of mezes, or a dry rosé, such as 7 Bilgeler Lasos 2016, bone-dry and aromatic. When I insisted on a white, his pick was rightfully from Antalya, Likya Fumé Blanc 2016 with lively acidity and complex flavors coming from oak barrel, which can hold against the smoky flavors of roasted eggplants and spicy food.